Folks who operate an automobile in either the city of Reno or the town of Sparks, Nevada have most likely experienced the gritty feel of sand embedded in the carpeting of their car. Another “sticky” scenario is the remnants of treats (candy, fast food, etc.) left to linger in the carpet of an automobile. Let’s face it…..an automobile’s carpeting is exposed on a daily basis to all types of dirt and grime, no matter where you reside…Reno, Sparks or any city on the United States map. Even though you might clean your automobile regularly and vacuum the rugs, deep cleaning an automobile carpet, just like home and business carpeting, can be an extremely difficult task. It’s trying to say the least! Why not save yourself the hassle and turn the auto carpeting cleaning over to a professional company that specializes in auto rug cleaning for the cities of Reno and Sparks, Nevada? We are an all purpose rug cleaning business that can get rid of the gunk, stains and even odors that permeate the interior of your car. Wouldn’t it be delightful to have that fresh new smell coming from your car’s interior (carpeting and all) once more? Our auto carpet cleaning process for Reno and Sparks isn’t just a matter of tossing some shampoo on the problem and expecting it to go away. 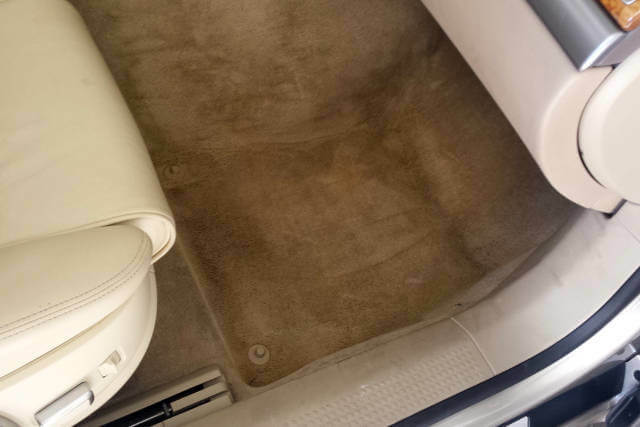 Initially our auto rug cleaning experts do an eye check to hone in on problematic stains and dirt that has settled deep down in the carpet and, not surprisingly, the car upholstery. Yes…our carpet cleaning experts for Reno and Sparks, Nevada can also make your car seats look like new once again! Our company’s automobile carpet and upholstery service people for the cities of Reno and Sparks, Nevada, work hard and use caution to make sure your automobile’s floor rugs and seat fabrics shine without over-saturating the material. Our car upholstery cleaning services work with cloth, as well as vinyl and leather. While you probably keep your car’s interior and exterior cleaned on a monthly or weekly basis, it is still advisable to have a professional automobile carpet and upholstery cleaning service performed on an annual or even a 4 to 6 month schedule. Our automobile carpet cleaning crews for Reno and Sparks are equipped with the right equipment and blessed with the sight of an eagle, which enables them to spot the smallest of stains in the carpeting and upholstery of an automobile. Our vehicle carpet and upholstery services for Reno and Sparks, Nevada, extend to RV’s, trucks and boats. For quality vehicle carpet cleaning, call (775) 241-1521.